The Bvlgari Bvlgari BB42BGLDAUTO men’s watch is a beautiful, classic timepiece with special touches that make it perfect for any man looking for something simple, yet refined. This watch is made using only the highest quality materials, including a 18K yellow gold case and an elegant black alligator strap. The bezel of this timepiece is made out of 18K yellow gold as well, and the black dial is covered by an ultra scratch resistant sapphire crystal. This scratch resistant crystal is the most expensive and durable dial covering available. The black alligator strap is excellently balanced by the textured black dial, which also has 18K yellow gold hands and detailing. This timepiece is water resistant up to 30 meters, which makes it suitable for wear when you’re washing your hands, if it’s raining, or even during light swimming. As simple and elegant as this watch is, it certainly comes with a lot of great, classic features. The use of the 18K yellow gold throughout the timepiece, when combined with the black alligator strap and black dial, really creates a polished looking timepiece. The calendar display is located at the 3 o’clock position. This entire timepiece is very clear and easy to read, which makes it a great watch for every day wear. The water resistance also makes it a great watch for every day use, you’ll never have to worry about it’s durability in the rain, or if it can survive the constant hand washing of a normal business day. This watch is made with the best materials and as it can be expected, those materials come at a price. If you don’t mind spending over $15,000 on a watch, this is a great timepiece to spend that money on. With the Bvlgari name you know that you’re really going to get what you pay for, and everything will be exactly as promised. The black alligator strap certainly serves to add refined elegance to this piece, but it does prevent it from being vegan or vegetarian friendly. If you’re particularly attached to this timepiece, but don’t want to use animal products in your accessories, this is not the watch for you. The Bvlgari Bvlgari Mens Watch BB42BGLDAUTO has many more pros than cons, and would be an excellent choice for any man looking for an elegant, classic timepiece. The Bvlgari Bvlgari Mens Watch BB33WSSDAUTO/N is an elegant, sleek watch perfect for a man that doesn’t want a lot of bulk or bother in his timepiece. This watch is unusual in its design in that it looks much more feminine than many of the popular men’s watches available today. Many timepieces that are designed for men have large, bulky features and a darker color palate, but this watch is light, bright and doesn’t have the over sized features common on many men’s watches. The bracelet, bezel and case of this watch are all made from stainless steel, which contributes to the general feeling of simplistic refinement and elegance. The white dial has a calendar display at the 3 o’clock position and stainless steel hands and detailing. The sizable stainless steel bracelet has a brushed and highly polished finish, with a fold over clasp. This timepiece is water resistant up to 30 meters, or 99 feet, which makes it suitable for wear every day. It can withstand regular hand washing, rain and even light, recreational swimming. This watch is made with a consistent, thorough style in mind. It doesn’t have any odd features that stick out and the all over stainless steel and matching white dial leave a very fluid, steady style atheistic. The crystal dial covering is made from scratch resistant sapphire, which is the most expensive and durable dial covering available. Another significant point of interest in this timepiece is the price. While $4,800 is certainly no small amount to spend on a watch, it is much less expensive than other popular Bvlgari models. With this timepiece, the wearer gets the same quality assurance the Bvlgari name provides, without the huge price tag some watches come with. 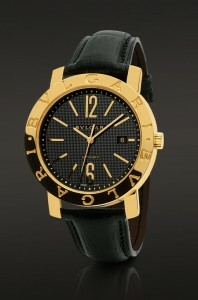 The one drawback I can see with the Bvlgari Bvlgari Mens Watch BB33WSSDAUTO/N is the design. 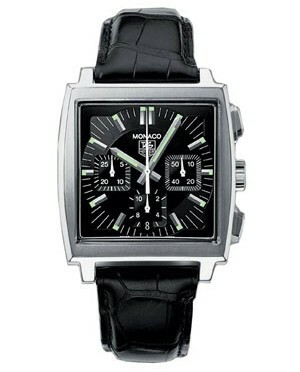 Most men’s watches are heftier, with a more masculine design because many men like a larger watch. If you’re looking for something that immediately screams “masculine”, then this is not the watch for you. It does, however, carry an engrained elegance and sophistication that many men do find desirable. If you’re looking for a simple, more unusual watch that still carries a cohesive, sleek design then the Bvlgari Bvlgari Mens Watch BB33WSSDAUTO/N is definitely for you. Although I am not keen on the idea of gold watches for men, I can make an exception for white gold, perhaps because it looks very much like silver. In addition to white gold, this Bulgari Assioma men’s watch includes a white guilloche dial. To those who are not familiar with the term, guilloche is a form of very delicate mechanical engraving, typically reflecting a geometric or architectural pattern. The dial features only two Arabic numerals (12 and 6), while the other hours are indicated by silvery indexes. Further, the pale watch face and 18 karat white gold casing on this 48 mm timepiece are set off beautifully by a black alligator strap. The bezel on this watch is square in shape, softened by curving lines above and below the dial. 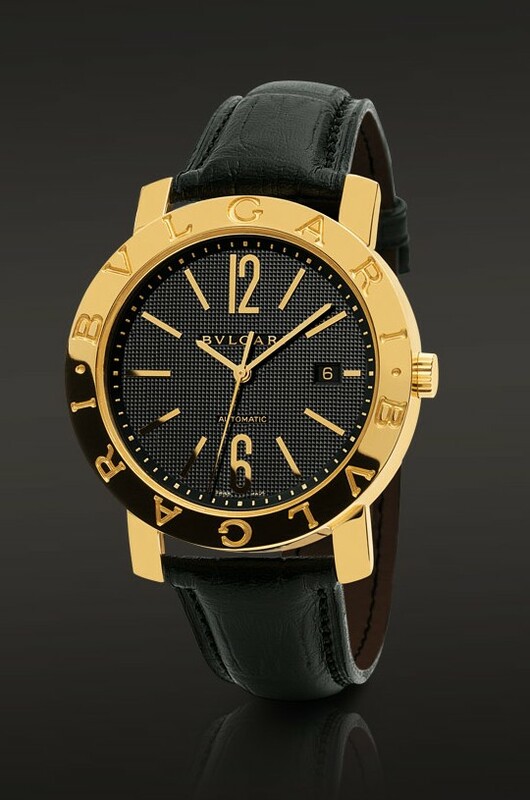 The section of the casing to the right and left of the dial are textured, but no Bulgari logo appears on this timepiece other than discreetly on the dial itself. Pros: This watch has a 72 power reserve, which is unusually large. It also boasts a power reserve indicator and will keep track of seconds as well as hours and minutes. Possible cons: For some consumers, the fact that this watch is mechanical with manual winding may present a problem as it needs frequent attention. However, traditionalists may enjoy engaging with their watch in this manner—and may find it interesting to compare their watch’s performance with that of other models. On the plus side, a mechanical self-winding movement is rarer (and therefore more exclusive) than an automatic movement. Be aware that if a mechanical watch remains unworn (and unwound) for a couple of days, its power will begin to dwindle and will need to be re-started. Again, for mechanical movement enthusiasts, this will not come as an unwelcome surprise, but people who are used to quartz movements may find it frustrating. Further, although leather straps are beautiful, they require attention. They shouldn’t get wet and must be carefully cleaned. Alligator straps are not water-friendly, so if your strap gets dirty you will have to try to clean it without using water. The color of the strap will also fade with excessive exposure to the sun and may become brittle in hot dry climates. Keep in mind that luxury watches are often considered to be works of art rather than practical time-keepers. For this reason, I would say that the $ 24, 800 price tag on this watch is worth it only for those who appreciate fine workmanship and artistry over pure functionality. Diamonds are forever. Diamonds are a girl’s best friend. Or as Mae West once said, “I never worry about diets. The only carrots that interest me are the number you get in a diamond.” It seems as if everyone from Elizabeth Taylor to Dolly Parton has had something to say about diamonds….and we’ve all heard a lot of hype about them, but when it comes to cliches, this Bulgari Assioma women’s watch certainly doesn’t fit the bill. With a sparkling line of diamonds framing a mother-of-pearl dial on the left and right, this timepiece is nothing if not distinctive looking. If you are not too dazzled by the glittering gems, you will see that the bezel on this watch is stamped with the Bulgari logo above and below the dial and includes only no numerals; simply small silver-gold indexes. This timepiece also features a white gold casing and an ardillon buckle. For those not in the know, an ardillon buckle is also referred to as a “thumbnail” buckle—although, when discussing a luxury watch, the French word tends to sound a bit more sophisticated. The truth is that an ardillon or thumbnail buckle is simply a basic buckle that curves in the direction of your wrist as you fasten your watch. An another interesting feature of this watch is the fact that the strap is made of what Bulgari calls “technological satin.” This is basically a synthetic material that looks just like satin but is a lot more durable. Pros: In my view, the fact that this watch has a quartz movement is a huge plus, as quartz requires little to no maintenance. It is about as reliable as you can get. Cons: The mother-of-pearl dial may mean that the time is hard to read in bright light, particularly since there is no mention of an anti-reflective treatment on the watch’s crystal. Further, this watch only has a minute and hour hand, meaning that if you like to count seconds, this watch is probably not for you. It is also unlikely that this watch is waterproof, so you will need to remember to remove it before bathing. This watch seems to be a dress watch, and as such, its manufacturers probably does not expect it to be worn every day. Definitely keep this in mind before you decide whether or not you are prepared to spend the $17,800. This Assioma men’s watch may indeed be attractive to some, but I’ll be honest: I am not a fan of gold watches on men—at least not on men under the age of 65. There seems to be something dated (rather than classic) and outmoded (rather than retro) about a gold man’s watch—even when the gold is more or less limited to the watch’s 48mm casing and folding buckle. However, this is merely a personal preference. To be fair, some men may find this watch appropriate to their needs and consistent with their style.This Assioma creation includes a black dial that is easy to read at a glance. There are Arabic numerals at 12 and 6, and the indexes are clearly marked. Further, a distinguishing feature of the dial on the Bulgari Assioma’s AAP48BGL is its guilloche effect. To those who are not familiar with this term, guilloche is a form of very delicate mechanical engraving, typically reflecting a geometric or architectural pattern. Also, some consumers may appreciate the fact that the bezel on this watch is slimmer and subtler than many Bulgari bezels and forms a square, softened at the corners by a curving gold frame. Pros: This watch has an impressive power reserve of 72 hours as well as a power reserve indicator. respectable, and there is much to be admired about precise traditional workmanship, but contemporary consumers may have more appreciation for a watch that is somewhat more practical. At $23,600, this is definitely not a watch to risk buying as a gift, unless you are certain you know what the man in question likes. If you are buying this watch for yourself and are aware of the responsibilities that it entails, you may be intrigued by its workmanship.